What is insulin potentiation therapy will be answered here both in text and video. The Donato Perez Garcia lineage of medical professionals from Mexico actually created what is currently called IPT. Dr. Steven Ayre functioned closely with this family on making the Insulin Potentiation therapy cancer therapy what it is today. Insulin potentiation therapy or IPT or low dose chemotherapy interestingly enough actually pre-dates chemotherapy. 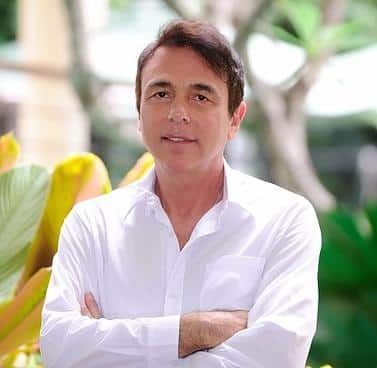 Dr Steven Ayre was a Canadian doctor living in the United States who was responsible for bringing this reliable alternative cancer treatment to the states in the 1990’s. 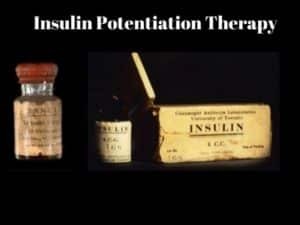 Insulin Potentiation therapy is based upon solid science. Cancer is cells that have changed in several ways. Cancer cells are fermenting cells that have various needs. One of those needs is that they require a lot of glucose. Actually, they require 19 times extra glucose than normal healthy and balanced cells. Currently, in order to get even more glucose, they have actually upregulated specific enzymes like insulin receptors. Cancer cells have many more insulin receptors in comparison to regular cells. When anything sweet or sugary is consumed, the cancer cells consume first. IPT has actually been utilized and still is to this day by the mainstream medical world as an analysis tool. They utilize it through a PET scan. When someone gets a PET scan they are injected with fluoro deoxyglucose which is a radioactive sugar. Once injected, they wait 60 minutes and then they check you and where there is a quick uptake of sugar they can identify that as cancer cells. When that uptake of glucose goes beyond a certain limit that would indicate cancer in that area. Understanding how this process works explains why we use it as a Trojan horse when it comes to cancer. The person we are providing it to comes into our healing facility in the morning after not having actually eaten from the night before. They are provided a certain quantity of insulin based on certain conditions as well as body weight. The quantity of insulin we use is equivalent to the exact same quantity one would certainly produce as a result of a typical meal which is not a large quantity. The goal is to open up cancer cells, not to get a person ill. Why do we wish to open the cancer cells up? To put it simply, they have more insulin receptors and will be eating first. Since they have actually eaten before the normal healthy cells, this develops an opening of time when the cancer cells are open before the healthy and balanced cells. This has been named the healing moment or maybe more commonly known as the therapeutic window . The drugs are provided intravenously during this window of time which is typically between twenty to forty minutes after the insulin has actually been given. This therapy is closed by having the person eat something and brings the cascading insulin to a halt. What’s important to realize is that not one individual, globally, has ever before passed away from this therapy. We certainly cannot claim that for other therapies being utilized. Individuals obtain the advantages of this therapy without all the harsh, terrible and negative side effects of conventional chemo treatments. IPT is not used with every person. It is utilized based on specific conditions when they present themselves. It is one of the many effective therapies we utilize at our center.